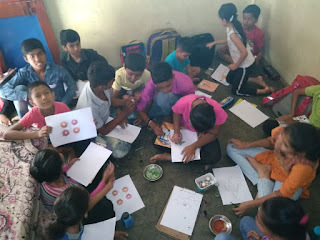 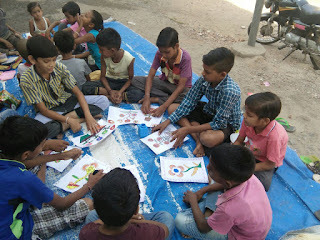 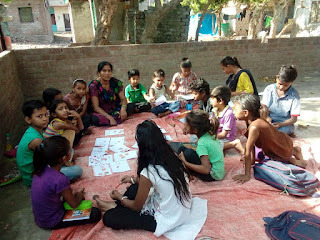 24-May-2018, Vadodara (Gujarat): Roshini Don Bosco - Vadodara held 3 days’ craft activity for the children of support classes in the slums of Vadodara city. 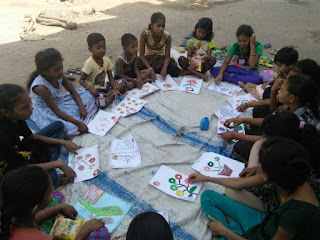 325 children from different classes participated in this event held under the aegis of ‘Children Education Project’ supported by Manos Unidas, Spain. 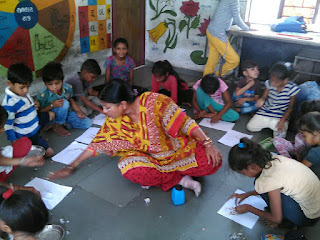 The craft activity was held during 21st May to 23rd May 2018 for which the children started collecting the pencil shavings 10 days ago. 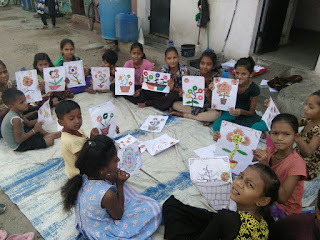 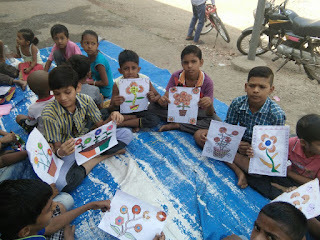 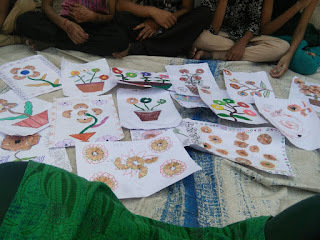 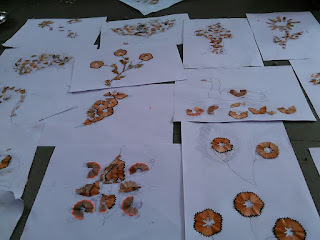 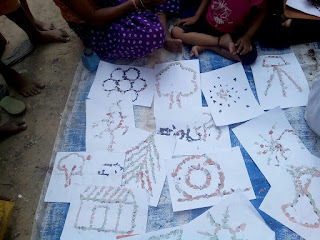 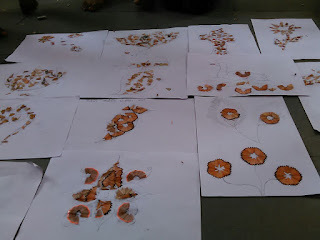 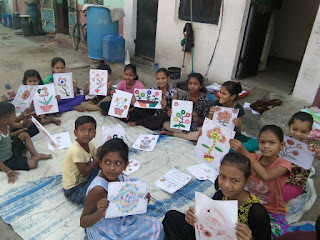 The children used waste material such as paper, pencil shavings, etc to make beautiful drawings and used pencil shavings to make flowers, leaves etc. 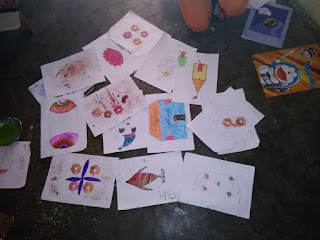 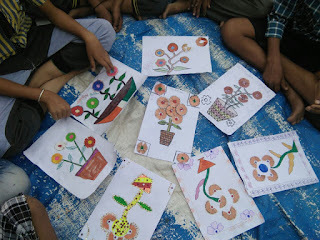 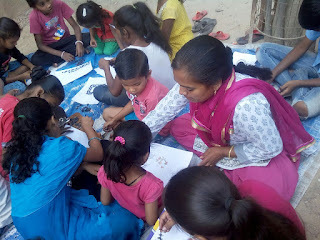 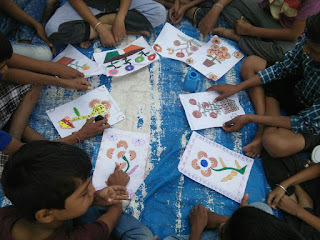 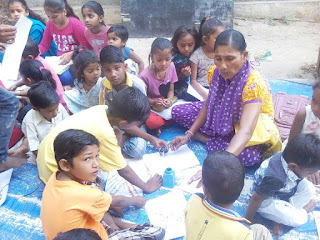 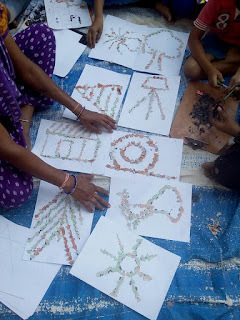 It brought out creativity in the children and they enjoyed the activity very much.